All Chicagoans should have a chance to reap the benefits of urban cycling: cheap, convenient transportation, improved physical and mental health and good times with friends and family. The proliferation of nonprofit bicycle shops and youth education programs, along with the rising popularity of fixies among inner-city teens, is starting to broaden the demographics of cycling here. But the local bike scene still doesn’t reflect our city’s ethnic and economic diversity. Eboni Senai Hawkins wants to change that. 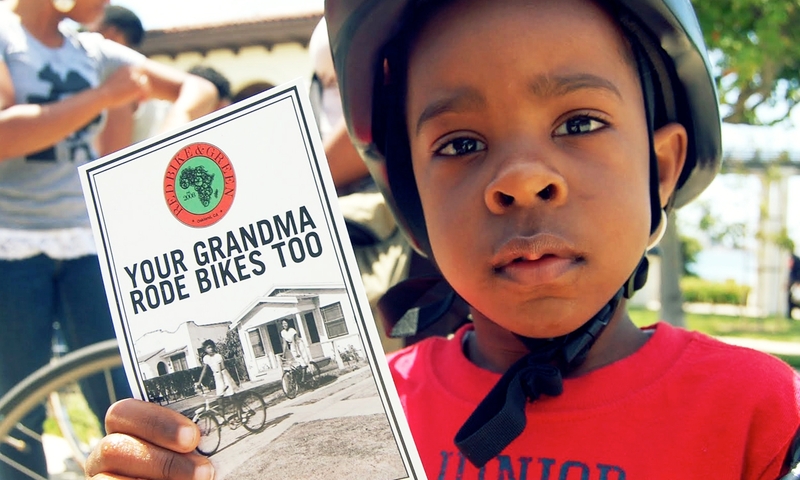 The thirty-four year old recently launched the Chicago chapter of Red Bike and Green, a nationwide group that promotes bicycling in the black community. Raised in New York City, Hawkins first experienced transportation cycling as a teen after she won a scholarship for a study-abroad program in southeast Thailand, doing volunteer work with Laotian and Hmong refugees. “There were no phones and biking was the main way to get around,” she says. “If you wanted to talk to someone you had to bike to their house in heavy traffic.” Her interest revived when she moved to the bike-crazy Bay Area seven years ago for art school. In Oakland, a multiethnic East Bay city with a large African-American population, she began riding with Red Bike and Green (RBG), named in honor of the tricolor Black Liberation Flag. Jenna Burton founded the group there in 2007 with the goal of creating a “relevant and sustainable” black bike culture. “She’s kind of the momma of it all,” says Hawkins. Burton drafted a “3 Point Plan” outlining the power of cycling to address some of the challenges facing African Americans: health problems caused by lack of exercise and access to nutritious food, economic hardships and exposure to air pollution due to environmental racism. In addition to monthly cruises for families with kids, RBG organizes First Friday rides to Oakland Art Murmur, a gallery open house which takes place on a street that’s been closed to car traffic. “It’s a predominantly white art walk, very much the clash of the hipsters,” says Hawkins. “There’s that whole conversation about who’s allowed to be in public space. So riding through Art Murmur is a way for RBG to be visible and show unity within the African-American community.” The rides currently draw dozens of participants, mostly young adults in their twenties and thirties, and the group now has branches in New York City and Atlanta as well. Hawkins moved to Chicago last year for an internship at the Museum of Contemporary Art, drawn to the city’s growing sustainability movement, but she missed the camaraderie she’d felt with other cyclists of color in Oakland. “I really wanted to bring my Bay Area community here and feel connected to them while forging connections here as well,” she says. In October she partnered with the Major Taylor Cycling Club, a mostly middle-aged group that organizes South Side road rides, launching the local RBG chapter with a two-wheeled tour of Hyde Park and Bronzeville that highlighted black-owned businesses and historical sites. On Saturday, Hawkins is ushering in the warm-weather biking season with a leisurely, ten-mile tour of African-American landmarks on the Near South and Near West sides. This summer she plans to organize monthly rides and collaborate with other African-American bike groups like The Pioneers, a South Side club that does social rides, and she also wants to promote urban agriculture with bike tours that visit community gardens in black neighborhoods. “I feel like there’s a lot of ‘silos’ right now and I hope that RBG can be a connector between those silos,” she says. Red Bike and Green Chicago Spring 2012 Kick-Off, Saturday, April 14, Buckingham Fountain, Columbus Drive and Congress Parkway, redbikeandgreen.org, 2pm; free. North Side Critical Mass This more intimate version of the bicycle parade/ demonstration cruises several miles around North Side neighborhoods, typically ending at a tavern. Friday, April 13, Young Lincoln Statue, 5959 North Clark, chicagocriticalmass.org/northside; 6:30 pm; free. Chicago South Side by “L” This train excursion traces the development of several South Side neighborhoods, including Bronzeville, Chinatown and the South Loop. Saturday April 14, Chicago Architecture Foundation, 224 South Michigan, architecture.org, 9:30am; $20. 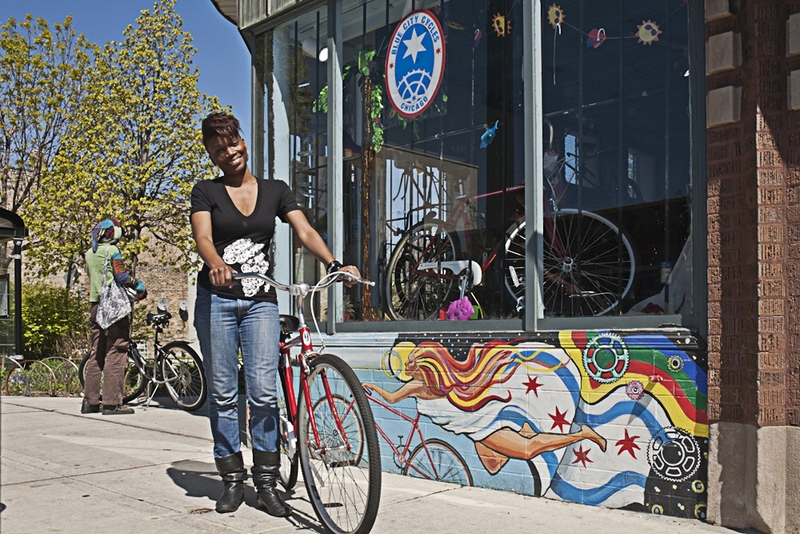 Women and Trans Night West Town Bikes hosts this weekly open shop session strictly for female and transgender folks who want to work on bikes in “non-patriarchal” surroundings. 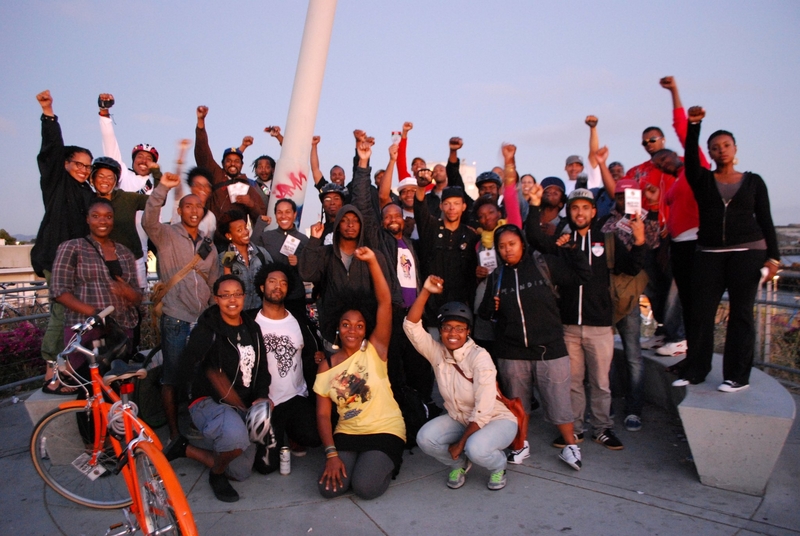 Wednesday, April 18, 1147 North Campbell, (773)772-6523, westtownbikes.org, 7pm-10pm; $10/hr suggested donation. Electrification of Transportation Workshop The Northwestern University Transportation Center hosts this symposium on the future of electric vehicles. Wednesday, April 18, James L. Allen Center, McCormick Foundation Auditorium, 2169 Campus Drive, Evanston, transportation.northwestern.edu/industry, 1pm-5pm; free. Friends of the Lakefront Trail Visioning Workshop (South Side) Active Transportation Alliance, Chicago Area Runners Association and Friends of the Parks host this brainstorming session on ways to improve the path. Wednesday, April 18, Jackson Park Fieldhouse, 6401 South Stony Island, (312)427-3325, activetrans.org, 6:30pm-8:30pm; free. Andersonville Pub Crawl This Chicago Architecture Foundation walking tour explores the neighborhood’s Scandinavian origins and Chicago’s brewing history, including stops at a “haunted” tavern and one of the city’s best beer bars. Wednesday, April 18, Edgewater Lounge, 5600 North Ashland, architecture.org, 6pm-8:30pm; $15.